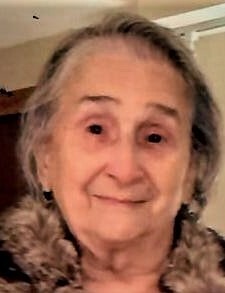 Worcester – Adelina (Gonzalez) Gonzalez, 83, passed away on July 9, 2018 at UMass Hospital in Worcester, MA. She is survived by her son Jesus G. Gonzalez of Millbury, her daughter Maricel Gonzalez of Worcester, 4 grandchildren, 2 great-grandchildren, and several nieces and nephews. She was predeceased by her husband Jesus Gonzalez and grandson Cory Alvarez. Adelina was born in Taguasco, Cuba on June 13, 1935 and moved to the United States in 1969 with her husband and two children. Adelina was a devoted wife, mother, grandmother and member of her church. She was a founding member of her church, the Iglesia Casa de Oracion and was beloved by the entire congregation. It was her children, grandchildren, great grandchildren and church family who brought true joy to her life. She will forever be remembered as the “angel in our lives”. Calling hours will be held on Friday July 13, 2018 from 6:00-7:00 P.M., followed by a prayer service from 7:00-8:00 P.M at Iglesia Casa de Oracion / House of Prayer Church, 21 Canterbury Street, Worcester, MA. Private Committal Services will be in Worcester County Memorial Park, Paxton, MA.